(A) PARENTS’ BIRTHDAYS, MOTHER’S/FATHER’S DAY. The children shall be with the appropriate parent on these days from 10:00 A.M. to 8:00 P.M. or, if a school day, from 5:00 P.M. to 8:00 P.M.
Companionship shall be exercised on the child/ren’s birthdays from 10:00 A.M. to 8:00 P.M. or, if the birthday falls upon a school day, from 5:00 P.M. to 8:00 P.M. If this schedule affects more than one child, all the children shall attend each birthday companionship. If there is one child, the child and the nonresidential parent shall exercise this birthday companionship in odd-numbered years. The child and the residential parent shall exercise this birthday companionship in even-numbered years. If there is more than one child, the children and the nonresidential parent shall exercise this birthday companionship upon the birthdays of the first and other odd-numbered children in odd-numbered years, and upon the birthdays of the second and other even numbered children in even-numbered years. The children and the residential parent shall exercise this birthday companionship upon the reverse birthdays of the children. In odd-numbered years the child/ren and the nonresidential parent shall exercise companionship from 7:00 P.M. on the last day of school (or, if none of the children attend school, from 7:00 P.M., 16 December) to 11:00 P.M. 24 December; and the child/ren and the residential parent shall exercise companionship from 11:00 P.M., 24 December to 7:00 P.M. 1 January. In even-numbered years, this companionship shall be reversed. In odd-numbered years the child/ren and the nonresidential parent shall exercise companionship from 7:00 P.M. on the last day of school before Spring Break to 7:00 P.M. the day before school reconvenes. In even-numbered years the child/ren and the residential parent shall exercise this Spring Break Companionship. If Good Friday – Easter Weekend does not occur during the child/ren’s Spring Break, then in even-numbered years the child/ren and the nonresidential parent shall exercise companionship from 7:00 P.M. the Thursday before Good Friday to 7:00 P.M. Easter. In odd-numbered years the child/ren and the residential parent shall exercise this Good Friday – Easter Weekend Companionship. If the child is not or none of the children are attending school, then the child/ren and the nonresidential parent shall exercise companionship from 7:00 P.M. the Thursday before Good Friday to 7:00 P.M. the following Friday in odd-numbered years. In even-numbered years the child/ren and the residential parent shall exercise this companionship. In odd-numbered years the child/ren and the nonresidential parent shall exercise companionship from 7:00 P.M. the Friday preceding Memorial Day to 7:00 P.M., Memorial Day. The child/ren and the residential parent shall exercise this companionship in even-numbered years. In even-numbered years the child/ren and the nonresidential parent shall exercise Independence Day Companionship. In odd-numbered years the child/ren and the residential parent shall exercise this companionship. If Independence Day falls upon a Tuesday, Wednesday, or Thursday, then this companionship shall be from 7:00 P.M. Independence Day Eve to 7:00 P.M., Independence Day. If Independence Day falls upon a Friday or a Saturday, then this companionship shall be from 7:00 P.M. the preceding Thursday to 7:00 P.M., Sunday. If Independence Day falls upon a Sunday or Monday, then this companionship shall be from 7:00 P.M. the preceding Friday to 7:00 P.M., Monday. In odd-numbered years the child/ren and the nonresidential parent shall exercise companionship from 7:00 P.M. the Friday preceding Labor Day to 7:00 P.M., Labor Day. In even-numbered years the child/ren and the residential parent shall exercise this companionship. In even-numbered years the child/ren and the nonresidential parent shall exercise companionship from 7:00 P.M. the Wednesday preceding Thanksgiving to 7:00 P.M., Sunday. In odd-numbered years the child/ren and the residential parent shall exercise this companionship. The child/ren and the nonresidential parent shall exercise companionship for six consecutive weeks during the Summer Vacation of the school district in which the child/ren reside. This companionship shall commence on a Friday at 7:00 P.M. and end on the sixth following Friday at 7:00 P.M. In odd-numbered years the nonresidential parent shall choose the commencement date of summer visitation and notify in writing the residential parent, and, if one or more of the child/ren can read, the child/ren at least sixty days before this commencement date. In even-numbered years the residential parent shall choose the commencement date of summer visitation and notify in writing the nonresidential parent and, if one or more of the child/ren can read, the children at least sixty days before the commencement date of summer visitation. During this summer companionship the child/ren and the residential parent shall exercise weekend companionship as described below. The child/ren and the nonresidential parent shall exercise companionship on alternate weekends 7:00 P.M., Friday to 7:00 P.M., Sunday commencing the second Friday following the journalization of any order or decree of which this schedule is a part. During the child/ren and nonresidential parent’s summer companionship the child/ren and the residential parent shall exercise a like weekend companionship beginning the second Friday and the Fourth Friday following the commencement of summer companionship. By agreement, the parents may arrange other and additional companionship, especially to account for days of special significance to the child/ren and one of the parents: for example, family reunions. If a conflict between two or more of the preceding companionship provision occurs, then the first listed shall be exercised. If the nonresidential parent must cancel a companionship period, he or she shall notify the residential parent and the child/ren as soon as possible. The nonresidential parent shall cancel companionship only for an emergency such as a change in his or her work schedule or an illness in his or her household. Then nonresidential parent shall not cancel companionship because he or she does not feel like exercising it. An illness or injury sufficiently serious to keep the child/ren in bed through companionship period shall be the only reason the residential parent may cancel companionship. If the residential parent must cancel a companionship period, he or she shall notify the nonresidential parent as soon as possible. The nonresidential parent may, at his or her election, spend up to one hour beginning at the usual commencement time of the companionship period with the ill or injured child The child/ren who are not ill or injured shall exercise companionship with the nonresidential parent. The parent who cancels a companionship period shall explain it to the child/ren. The canceled companionship period shall be made up within sixty days at the nonresidential parent’s option. The residential parent shall have the child/ren physically and emotionally ready to go at the commencement of each companionship period. The nonresidential parent shall pick up the child/ren on time or within one-half hour or forfeit that companionship period. The nonresidential parent shall not return the child/ren from companionship early without prior notice and consent of the residential parent, and shall only do so in the event an emergency arises. If the nonresidential parent is unavailable to pick up or return the child/ren, an adult well known to the children may do so. Only licensed drivers may transport the child/ren. No person transporting the child/ren may be under the influence of alcohol or drugs. The residential parent shall send sufficient appropriate clothing with the child/ren each companionship period. The nonresidential parent shall return all such clothing when returning the child/ren. At the conclusion of any companionship period which lasts more than three days (72) hours the parent returning the child/ren shall return the child/ren’s clothing cleaned and folded or hangered ready to put away. For the purpose of this clothing provision, the nonresidential parent is deemed to be the residential parent during Summer Companionship. All mail from one parent to the child/ren shall be confidential and shall not be opened or read by the other parent without the child/ren’s prior voluntary consent. Neither parent shall impede reasonable telephone communication between the child/ren and the other parent. (N) CHILD/REN’S RECORDS AND ACTIVITIES. The nonresidential parent shall have access to the child/ren at all times, to all the child/ren’s activities, and to all records related to the child/ren on the same terms and conditions as the residential parent. OHIO LAW REQUIRES THIS ACCESS. 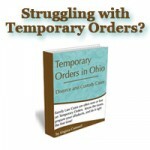 This provision is made a part of this Order pursuant to Section 3109.051(H)(1) and 3109.051(I) and 3109.051(J) and 5104.011 (C)(3) of the Ohio Revised Code. The Keeper of any record related to the child/ren is hereby put upon notice that failure to comply with this order is contempt of court pursuant to Section 3109.051(H)(2). Any school which sponsors a student activity in which the child/ren participate is hereby put on notice that failure to comply with this Order is in contempt of court pursuant to Section 3109.052(J)(2). By separate notice, record holders, schools, day care centers and health care providers may be put on notice with regard to this provision of this Order. (O) LOVE AND RESPECT, NO CRITICISM. Each parent shall encourage the child/ren to love, respect, an obey the other parent. Neither parent shall criticize the other parent before the child/ren nor permit the children to associate with any person who criticizes the other parent. Each parent shall provide other parent a current residence address and mailing address, if different, and telephone number. Each parent shall immediately notify the other of any change in this information. The residential parent shall file with the court a notice of his or her intent to relocate with the child/ren to a new residence and provide the complete address of that new residence at least thirty days in advance of such move. The Court shall notify the non-residential parent and the CSEA of the intended move.